A new jewelry addiction of me! 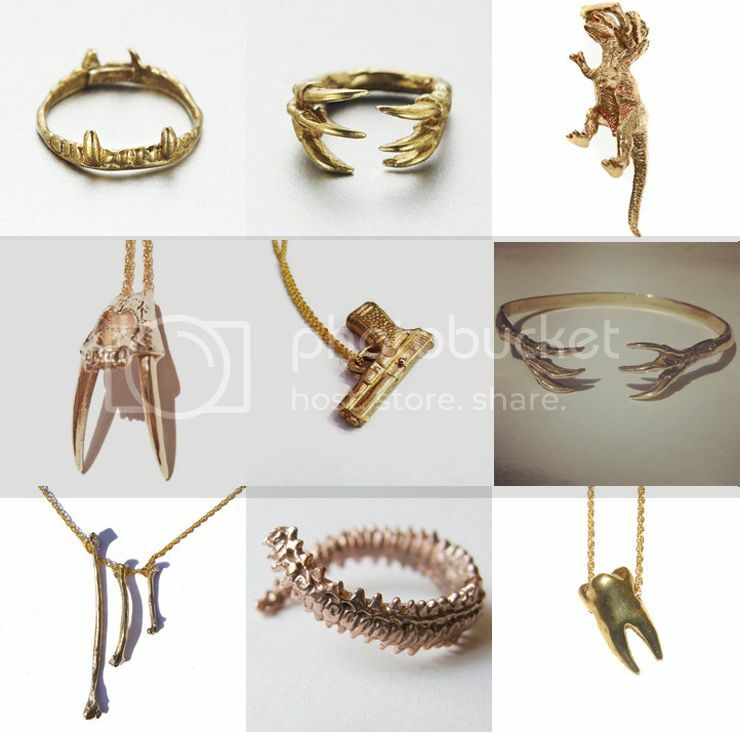 I absolutely love all of New York City based VERAMEAT‘s pieces, handcrafted recycled spines, bones, claws and dinosaurs in silver and pure 14kgold! Armcandy! These will good so well with my dinosaur cuff! Cool pieces. I love everything. i looooove so much this kind of jewlry! Wow, all of these pieces are amazing! The details are exquisite. Dat een na laatste item is to die for, zo mooi!